– Put the minced pork, garlic granules, bicarbonate soda, cornflour, salt, pepper and sugar into the mixing bowl. Then mix all the ingredients together by hands. -Blend the mixture in an electric blender, until the mixture becomes smooth in consistency. -Transfer the meatballs mixture into the container/bowl. Cover it with the cling film, then put it in the freezer for approx 2 hours. -Takes the meatball mixture out of the freezer then start shape and roll the mixture into the balls. -Heat the water in the saucepan but do not bring it to boil. Gently transfer the meatballs into the water. Wait until the meatballs release their density and float back up to the surface of the water. -Put the ice cubes in a big bowl of cold water. 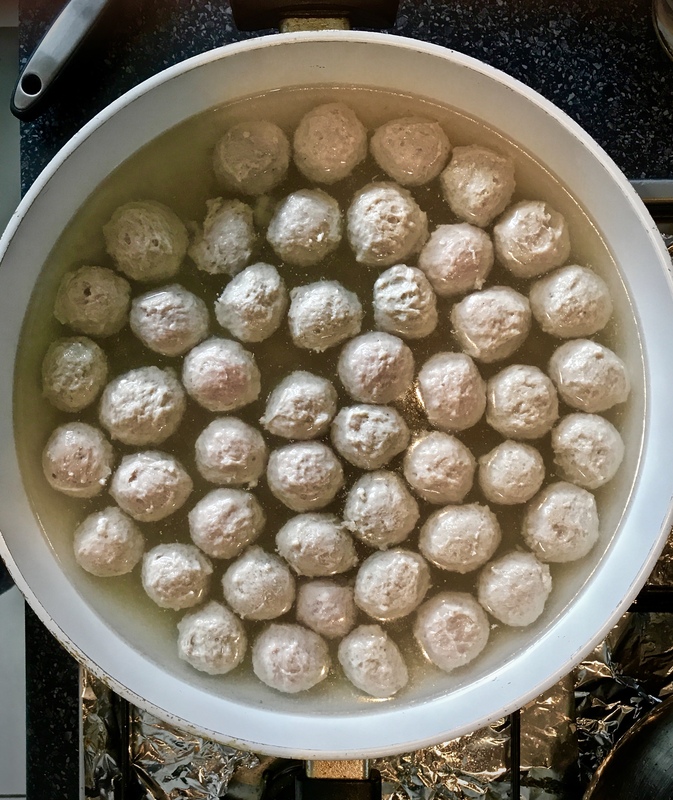 Scoop the floating meatballs out and put them in the icy cold water. Wait until the meatballs sink to the bottom of the bowl. -Drain all the excess water. Cook and enjoy Thai Meatballs as how you like it. -Lightly blend the meatballs mixture if you like a bit of bite into your meatballs. Adjust the blender as how you like its consistency. – Dampen the fingers and palms with water or oil before and in between shaping the meatballs to get rid of the sticky mixture on your hands. 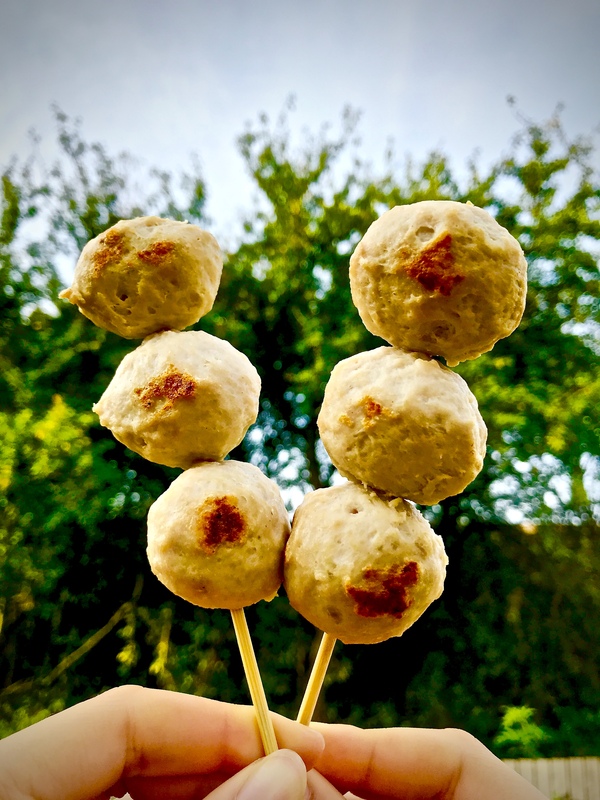 – This Thai Meatballs recipe is half cooked. Thais often prepare the meatballs in advance, then re-cook and put them in the mouthwatering noodles soup. You can also grill or fry the meatballs and serve with dipping sweet chilli sauce.